The Wear SA Fashion Festival is gaining popularity through its #IWearSA movement that aims to promote local brands. The festival hopes to boost the South African clothing and textile industry by encouraging people to buy more local labels from South African designers, retailers and manufacturers. The festival runs in conjunction with SA Fashion Week and comprises a series of events and workshops. The annual ‘Fashioning the Future’ workshop kicked off the Wear SA Fashion Festival, followed by a jazzy gala dinner. In 2018, Wear SA is launching the brand new ‘People’s Runway’ in the centre court at Canal Walk on Saturday, 7 April. From 2pm onwards, members of the public, local designers, seamstresses and dressmakers will be able to showcase their own outfits on the runway. All fashion garments at this event must be locally made and there will be prizes for the best-dressed female and male. This also presents a unique opportunity for aspiring designers to be discovered and recognised. “The idea is to send a bold message that goes beyond the ‘local is lekker’ mantra, to ‘local first is best’. It is only by believing in and supporting locally made products that we can break the cycle of reliance that a vast section of our population has on cheaper external goods,” says Wear SA. The #IWearSA movement aims to create a space of helpful dialogue that is inclusive to all South Africans. The goal is to highlight the need to support our local clothing brands and products so that the South African textile industry can compete with the barrage of international brands. “In his State of the Nation speech, President Ramaphosa alluded to the need to support and build a robust clothing and textile sector,” says Wear SA spokesperson Wayne van der Rheede. “We want to thank President Ramaphosa for his support and show him we mean business, too, by calling on as many South Africans to come and walk the Wear SA Fashion Forward Runway with us in April,” he adds. 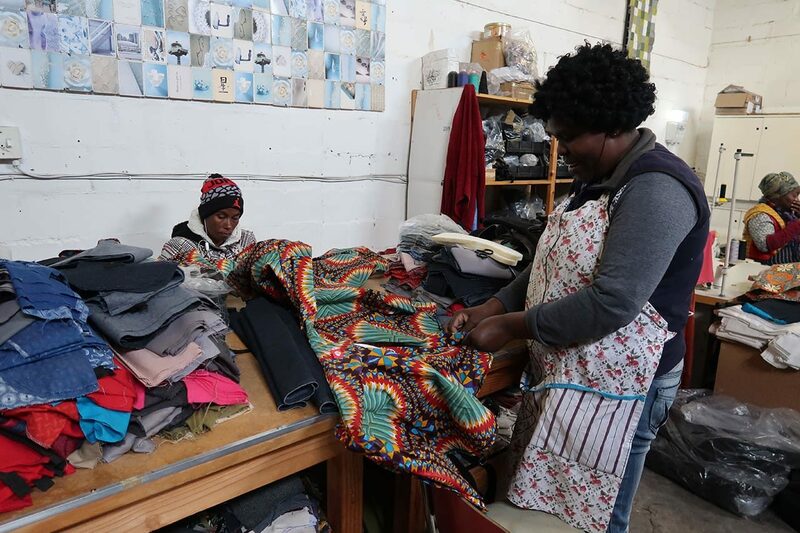 “By buying locally made items, we as South Africans are helping to stimulate a sustainable industry that supports many thousands of workers across the country. We speak about this often, but now it is time for us all to take this on board and actually do it,” he explains. The festival will certainly put local designers and fashion creators in the spotlight, but ordinary citizens need to come to the fore in support of our local industry. Here are some reasons why you should recycle your old clothing. Can the fast-paced fashion industry ever be sustainable?